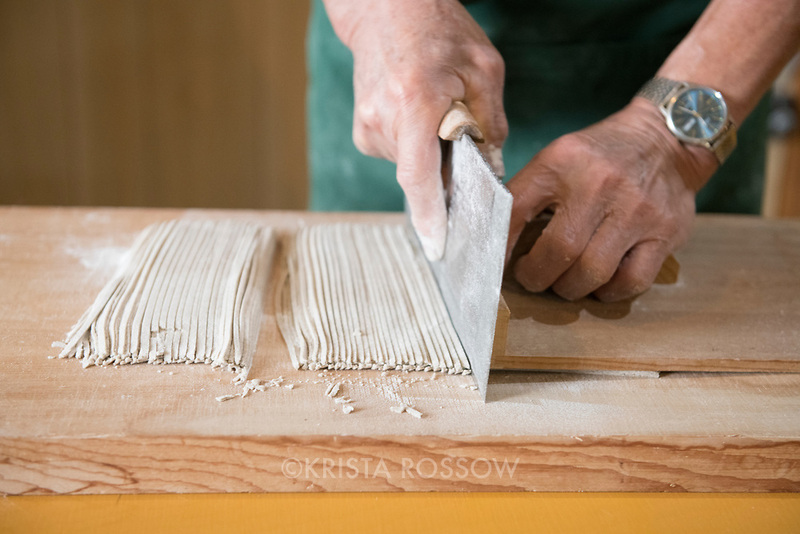 Soba noodle making at Teuchi Soba near Goku on Dogo, the largest island of the Oki Islands, Shimane Prefecture, Japan. Soba noodles are unique on the Oki Islands because they use 100% buckwheat. All people in images are model released; soba maker is Kobo Omi, woman making noodles is Kay Allen (from NGTO), and young man making noodles is Masayuki Saito.